It won’t be long before the snow melts all over the Twin Cities, but some area homeowners may notice odd spots on their lawn. The culprit may be snow mold. Snow mold is something a lot of people might not have heard about before. It is a fungal disease that can appear early on in the spring as the snow starts to melt. There are two types – pink and gray. Under the snow cover, these mold fungi are active. 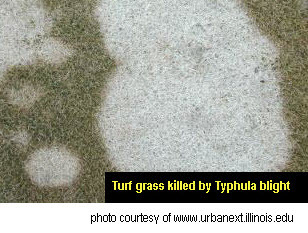 Gray snow mold is known as Typhula blight and pink snow mold is known as Fusarium patch. The gray snow mold is able to survive through hot summer temperatures throughout the soil and infected plants, while pink snow mold can survive also in infected plants. You will notice the symptoms first appear as circular straw-colored patches in the grass when the snow melts. The patches will continue to grow as long as the grass is wet and cold enough. The grass will have a matted appearance. The fungal growth may be noticed along the margins of the circles or throughout the entire area. Gray snow mold is a white or gray color and pink is white to pink colored. Mushrooms may also start to pop up in the area due to the fungal growth. Snow molds might not occur each year in the lawn, but it can be common during the years when there is an early, deep snow that covers the entire ground but the ground does not freeze. The damage that snow molds do is not severe and usually not serious other than being unattractive. Those infected areas might just be slower at greening and growing in fully. You should rake the area to promote the area to dry and warm up to prevent further growth of the fungus. It is generally not necessary to use a fungicide. As snow accumulates, spread it out in large piles to encourage rapid melting. Use snow fencing to minimize the amount of snow accumulating in one area. Cut the grass to the recommended height and continue to do so. 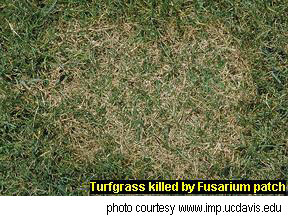 Overgrown grass has a tendency to hold the mold and allow it to continue to grow. If you’ve dealt with snow mold in the past and it has become a bothersome annoyance each spring, you may want to consider replacing the susceptible areas of your yard with hardscaping. We can suggest a number of low-maintenance options other than turf grass. Speak with us here at Architectural Landscape Design to find out what we can do about fixing up your yard when the spring hits and you find the snow mold. Contact us at 952-292-7717.